Though everybody loves a vacation, sometimes a full fledged two-week trip just is not possible. Weekend getaways are the perfect way to find some escape and relaxation without cutting too deeply into your hectic schedule or your bank account. But where can you go where you and your party will be able to enjoy a fun and comfortable trip that is within your budget? Weekend getaways in Georgia are the perfect way to spend a couple of days with family, friends, or that special someone. Though flashy vacations to theme parks may seem like a great idea on paper, they often lead to frustration and disappointment. When you need to get away from it all, you should be able to truly relax, enjoy your surroundings, and have a great time exploring, having adventures, and trying new and exciting things. 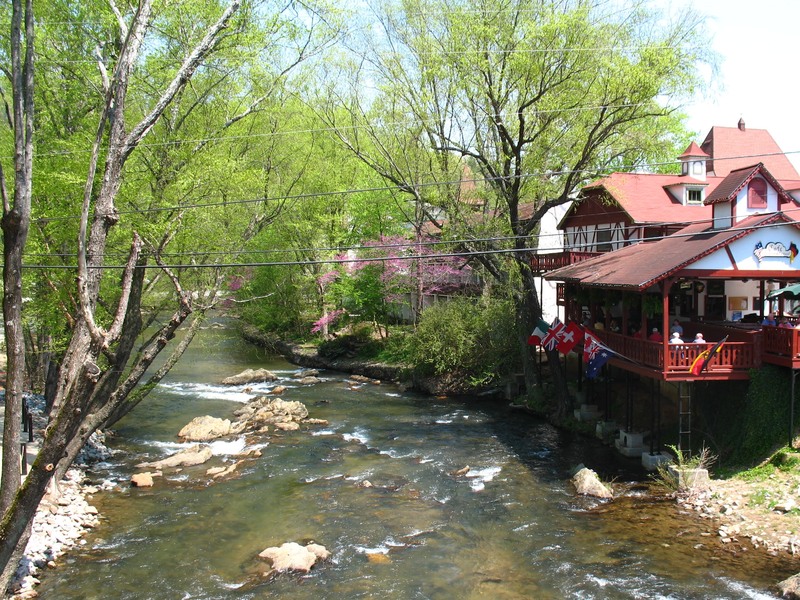 A visit to Helen, Georgia is the ideal escape for people of all ages and genders with comfortable accommodations, beautiful scenery, and a wide variety of things to do. Sometimes the very best thing you can do for yourself when you are feeling exhausted and run down is to give yourself the TLC and pampering that you deserve. 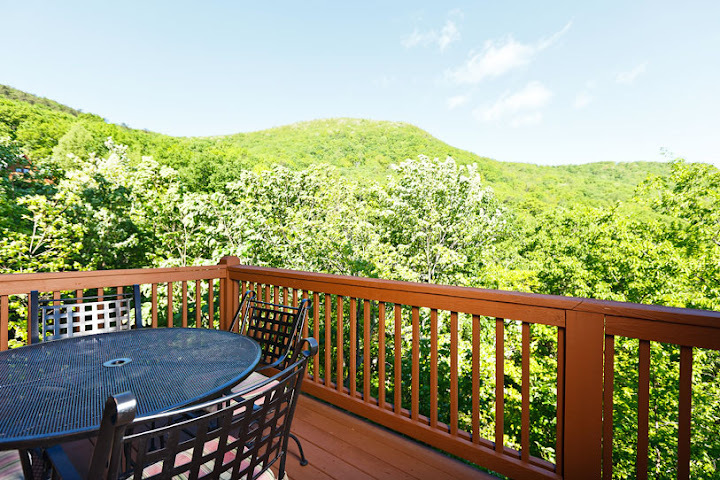 Our luxury cabin rentals in Helen, Georgia allow you to truly live the high life with all of the creature comforts that you enjoy at home, paired with fabulous and lush amenities. Whether you are on a couple's getaway, a family trip, or an adventure with friends, you can select the perfect cabin to fit your exact needs. You will be able to choose how many bedrooms you would like based upon comfort preferences, privacy needs, and your budget. You can even select what scenery you would like to see when you look out your cabin window. With choices ranging from mountain views, creeks, and even your own private waterfall, you are truly able to customize your stay. All of our cabins include climate control systems, comfortable sleeping quarters, and modern kitchens that are fully equipped with all of the appliances and cooking wares that you may need to cook up a meal. Hot water and clean, private bathrooms will make sure that you are always comfortable. For even further relaxation, a long soak in the hot tub does the trick. Many cabins are equipped with patios, decks, barbecues, big screen TVs, and even game rooms. The sky is the limit when it comes to a luxury cabin rental in Helen, Georgia. One of the best ways to feel that you have "gotten away from it all" is to escape to a whole new world. Weekend getaways in Georgia, particularly in the Helen area, will allow you to experience the incredible world of nature, and an adorable Alpine village. Helen, Georgia is a truly magical place that will make you feel as though you have been transported to a Bavarian village. Cobblestone roads, winding alleys, and European style buildings line the village as horse drawn carriages click clack past you. A gorgeous fountain and an adorable bridge over the Chattahoochee River running through the center of the village will mesmerize you. And only moments from the village itself, you will be able to enjoy the mountains, vast timberland forests, and wildlife of the Helen area. Having fun and relaxing doesn't have to be expensive. Here are a few budget-friendly adventures to try during weekend getaways in Georgia. Cool River Tubing - Located in the center of Alpine Helen, Cool River Tubing Company allows you the unique experience of floating down the Chattahoochee River on a one our two hour tour. Drifting lazily along, you will enjoy all of the sights and sounds of the forest, northern Georgia mountains, and even the Alpine village, while tubing in Helen, GA.
Brasstown Bald - For breathtaking views during weekend getaways in Georgia, take a drive up the Richard B. Russell Scenic Highway. 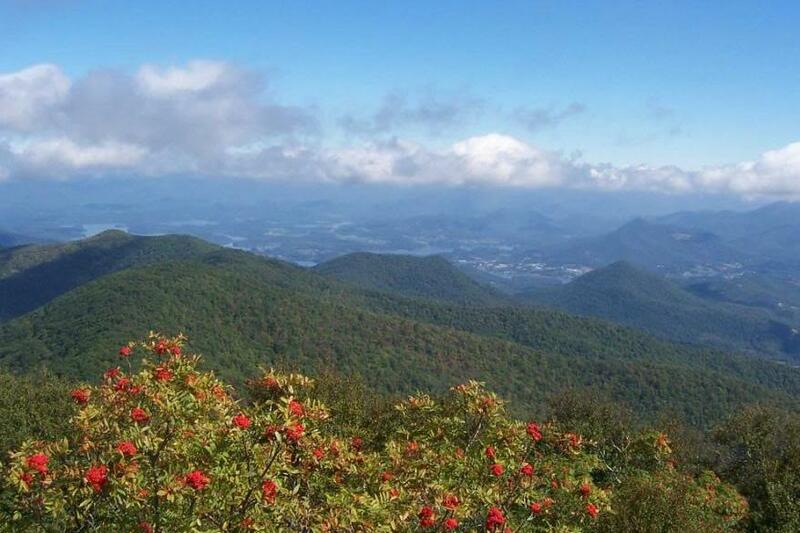 This gorgeous route will lead you to Brasstown Bald, the highest point in Georgia where you can see four states at once. Zip N Time Zipline - Going on a zipline tour gives you an incredible bird's eye view of northern Georgia. Zip N Time is the newest zipline tour and is located only minutes from the luxury Georgia cabins in Nacoochee Village. You will experience the romantic and exciting history of the Nacoochee-Sautee Valley while seeing Georgia like never before. Duke's Creek Mining - Looking to strike it rich during weekend getaways in Georgia? Dukes Creek Mining Company is located close to the cabins in Helen and will allow you to try your hand at panning for gold and precious stones in the location of one of the first sites of the gold rush. What adventures will you have during weekend Getaways in Georgia?